The weather is definitely warming up! The skies might be gray, but you can definitely tell summer is here. In my last post I shared a bunch of goodies from realgoodfood and I'm back with more! You may already be aware that I've recently eliminated gluten from my diet in an effort to sort out some health issues. and I was lucky enough that realgoodfood sent me a bunch of gluten free things along with the wheat free products you saw in my last post! I was also able to eat the wheat free products too, don't worry! 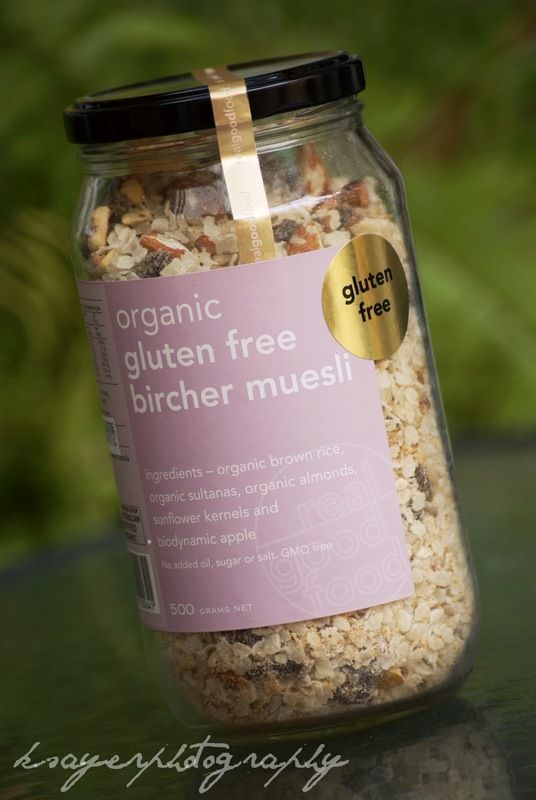 Some people who can't tolerate gluten are fine with oats, while others will still have a reaction - it really depends on the individual! 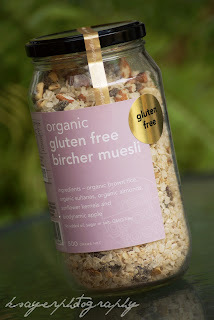 realgoodfood's Organic Gluten Free Bircher Muesli may just be my staple breakfast for summer! It's a mix of brown rice flakes, sultanas, almonds, sunflower kernels and apple. Just mix it up the night before (or a little bit before you want to eat it) with some milk or yogurt and leave it to sit and soften. Top it with some fresh fruit and you have a perfect summer breakfast! 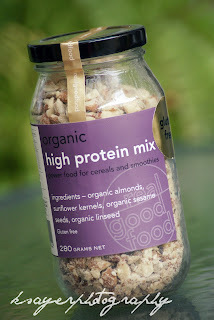 The High Protein Mix is also a perfect topper for the bircher muesli or any other breakfast! It's also perfect for mixing into smoothies or using in baked goods! 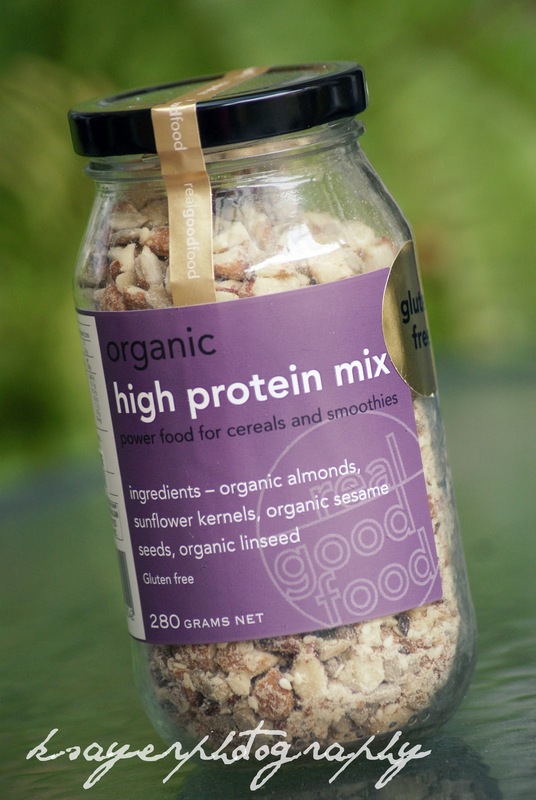 It's a mix of almonds, sunflower kernels, sesame seeds and linseeds which give your breakfast a protein punch! Realgoodfood also have a line of baby cereals, including this Organic Apple Baby Rice Cereal. 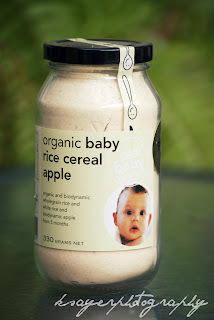 It's a smooth blend of brown and white rice and dried apple and is 100% biodynamic, organic and gluten free. It's not just good for babies though! It makes a super creamy porridge that can be mixed with other grains or eaten by itself and it also works really good in baked goods! 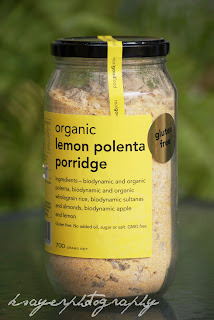 The Organic Lemon Polenta Porridge is another creamy breakfast. It's a gluten free mix of polenta, wholegrain rice, sultanas, almonds, dried apple and lemon. This energy filled breakfast has a delicious tang from the lemon and is delicious! 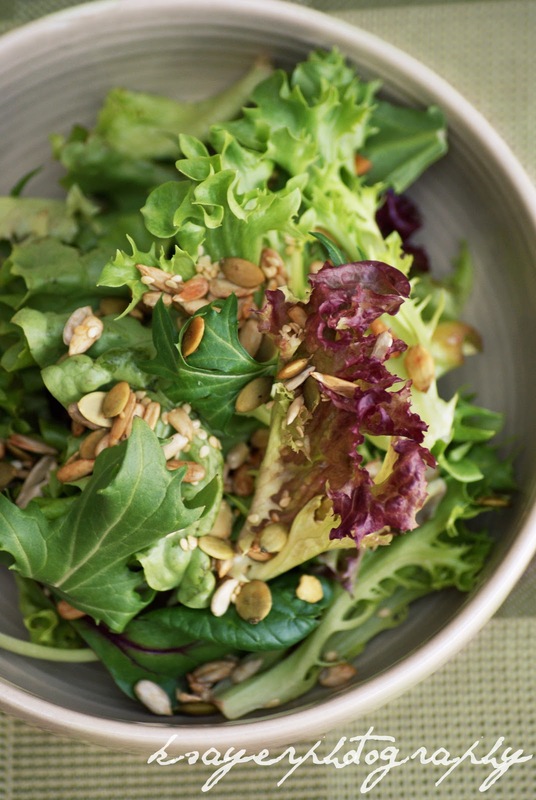 Salads are made for summer, but they can get a little boring! 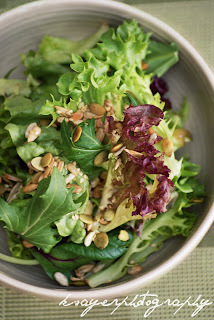 This Toasted Seed Mix in Tamari is a perfect salad topper, making a simple salad SO much more appetizing! 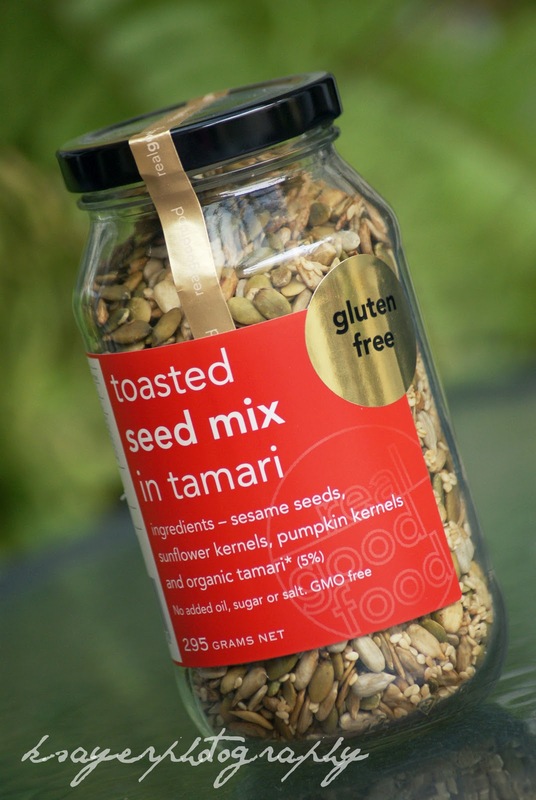 It's a gluten free mix of sunflower kernels, sesame seeds, pumpkin seeds and organic tamari. All of the products I was sent from realgoodfood were fantastic and they have so many more! You can pick up their products from one of their many stockists across the country and internationally! 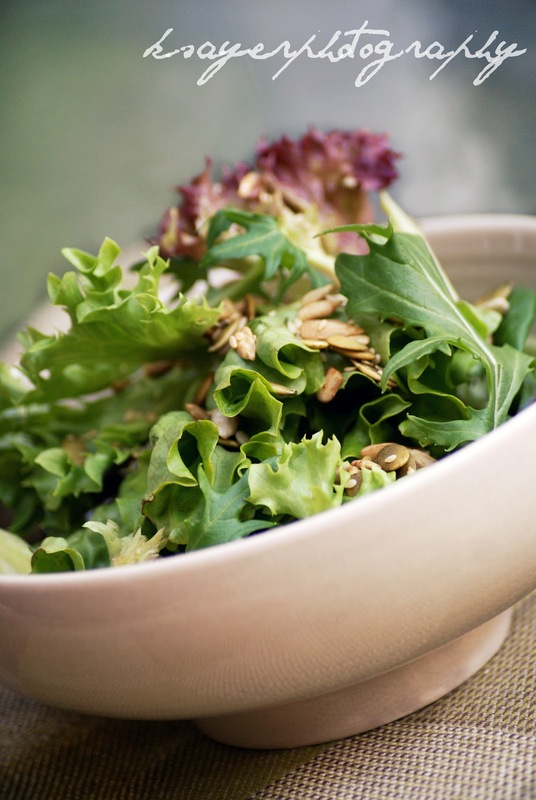 and what's your favourite way to jazz up a salad? 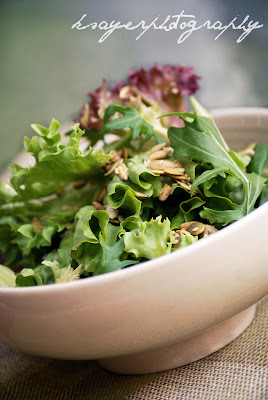 I love to add things to my salads to make them more of a meal. Great things to add are different cheeses, nuts, dried or fresh fruit, avocado and my absolute favourite? roasted pumpkin! I often like eating gluten-free baked goods mainly for the texture, but sometimes they're too loaded with sugar. Otherwise, I'm trialling another stretch of low-gluten eating as my previous stint seemed to help with easing bloating and joint issues. Yes, I have my doctor somewhat baffled. Haha, whatever works right? Some crazy things work for some people while work against others - that's why you always have to test out what works for you! Thanks for sharing. I'll be looking out for these products at the organic supermarket.